Business growth aligns with the power of partnership. At Celero, we bring opportunity to your doorstep via a host of proprietary technologies, cutting edge products, and strong partnerships. Whether it’s channel partners to drive integrated financial services or software partners providing the latest in business management tools and intelligence dashboards, we put ourselves in elite company to deliver best-in-class results for Celero partners and clients alike. At Celero, we provide an all-in-one, frictionless experience enabling business growth and bottom line profitability. Our experience developing native technology and software platforms provides superior integration to our partners and clients. Our growing portfolio of technology investments includes business management software with integrated payment solutions, and business intelligence that powers easy-to-understand, actionable business insights. Mutual alignment with your commerce solutions partner is all about driving growth - in our experience, strategically placed investments yield outsized growth for companies in multiple industry sectors. Let our capital, platform, and commitment to speed and efficiency take your organization to the next level. During more than 20 years as an industry executive, Kevin Jones has created people-centered cultures, driving diverse teams to consistent year-over-year revenue growth, operational fitness, strong profitability, and shareholder return. Prior to co-founding Celero, Kevin founded, served as CEO, and successfully led the sale of Anovia Payments. As CEO of Anovia, he led organic acquisition of 10,000+ customers in a four-year period while building teams and launching offices in North America and Australia. 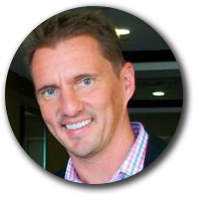 Prior to Anovia, Kevin was President of SignaPay where he grew the business 5x through both organic and inorganic initiatives and was a Vice President at First American Payment Systems, where he successfully revived the strategic partnership channel. Kevin began his payments and technology career at Chase Paymentech, achieving record sales for his national division and leading the build out of the company’s bank channel partnerships. 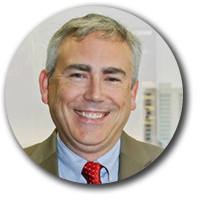 Kevin is the president-elect of the Electronic Transaction Association, and is both a thought leader and passionate advocate, known for his ability to galvanize teams around issues affecting the industry and companies within it. Kevin holds a bachelor’s degree in political science from the University of North Carolina at Greensboro. For nearly 30 years, Jeff Brown has defined operational excellence at the executive level of the payments & technology industry. His ability to adapt to the technology demands of the industry is remarkable , and his ability to apply technology in the service of commerce is peerless . After a stint at Priceline WebHouse Club, Jeff continued his payments career, working at a veritable who’s who of the industry in leadership positions ranging from executive vice president and chief operating officer to owner and president. Successful career stops include his leadership at First Data, CardSystems Solutions, Equity Commerce, SignaPay, Cuffr, Anovia Payments, and JetPay . Jeff began his career at Chase Paymentech, rising to group manager. Jeff holds a bachelor’s degree in business administration from the University of Texas at Arlington. Jim Harris has demonstrated leadership for more than 20 years at every level of the payments & technology industry, from managing strategic partnerships at the industry’s largest player to founding and investing in multiple successful startups. At Chase Paymentech, Jim served as director of the firm’s strategic partner channel and also spearheaded efforts in sales and financial institution management. While managing the company’s strategic partner channel with more than 50 bank partners nationwide, Jim’s team drove the acquisition of more than 800 new merchants per month. Jim co-founded and served on the executive leadership team at MeritCard Solutions, one of the fastest growing merchant services providers during its eight-year run prior to a successful exit via acquisition by Paysafe in early 2016. He has served on multiple boards of other fast-growing companies, including mobile solutions provider Tixsee, the fraud-focused Chargeback Gurus, and computer vision and machine learning platform Image Vision. Jim Harris holds a bachelor’s degree in history from the University of North Carolina at Greensboro.